The Whiskey Throttle Show welcomes off-road legend Johnny Campbell. After a legendary career on the course, Johnny is continuing his winning ways as the team manager with the Johnny Campbell Racing team. We’ll walk through his racing days as well as what’s to come for his race team. At the request of fans, we will be covering the life and career of The Whiskey Throttle Show co-host Grant Langston. GL amassed an incredible number of titles during his career, even though it was cut short by eye cancer. 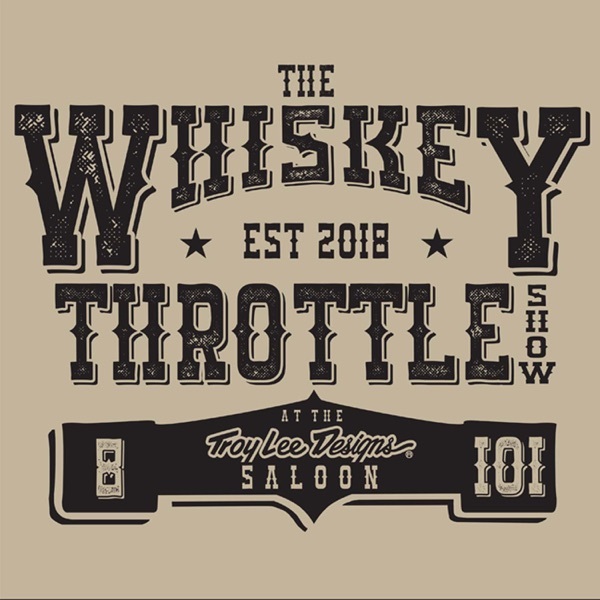 Former national motocross champion, supermoto champion, and motocross legend Micky Dymond joins The Whiskey Throttle Show at TLD Saloon! Simon Cudby stops by the TLD Saloon for a in-depth conversation about Photography, Motocross, Adventure bikes and the next chapter in his life. Jeremy “Twitch” Stenberg visits the Troy Lee Designs Saloon for a LIVE taping of The Whiskey Throttle Show! The charismatic freestyle motocross legend has some wild stories of life on the FMX tour during the sport’s rise in popularity. Ryan Hughes joins The Whiskey Throttle Show this week for a chat about racing, broken femurs and, some yoga. Ryno had an incredible career but his post-racing life has had its share of tribulations. In true Ryno fashion, we dive into all of it with reckless abandon. The likable California native talks with Ping and GL about the unconventional start to his pro career, injury, personal life and interests outside the sport of motocross. American professional motocross racer Adam Cianciarulo joins us in the TLD Saloon for this week’s Whiskey Throttle Show. Multi-time motocross champion Eli Tomac joins us in the Troy Lee Designs Saloon for this week’s Whiskey Throttle Show! The kid from Cortez is off to a great start this year and is laser focused on a 450 SX title. We know that. But how well do you really know ET3? What does he do for fun? What makes this guy tick? We’ll find out. World champion and 250 Supercross Champion Ben Townley chats with us about his career, his new business venture (Ben Townley Tours) and what his son wants to do in the sport.BT never pulls any punches and he’s very tuned in to what’s going on in the sport. An entertaining night with Fro, Ping and GL filled with great stories, hilarious banter and sarcasm. The Last Call segment featured Thomas Covington. Jim "Bones" Bacon, the long-time Pro Circuit suspension man, talks about his 34 years with PC, while tuning suspension for top riders in the sport. Ricky Johnson opens up about racing, life after motocross and family. Ping and GL talk with Roger about his long career in Motocross, answer questions and discuss moto related news. Ping and GL discuss what The Whiskey Throttle Show is all about.